Validation and Verification (V&V) are steps to determine if a systems or component satisfies their operational and system level requirements. V&V requirements are established during the course of a program to provide adequate direction for system engineers to gauge the progress of a program. 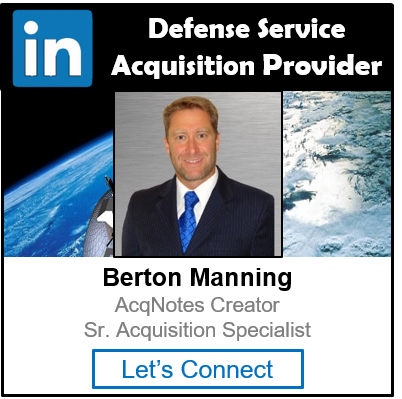 Validation is a quality control process that determines if operational requirements are meet for the overall system to meet to Initial Capabilities Document (ICD) and Capability Development Document (CDD). Analysis is testing method primarily used in Validation. 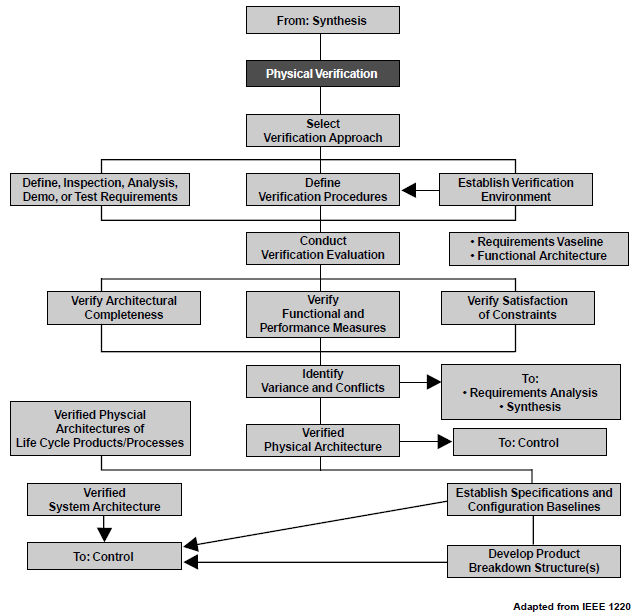 Verification is a quality control process that determines if a system meets its system level requirements. Inspection and demonstration is the main testing method used in Verification. The Validation Process answers the question of, “Is it the right solution to the problem?” As such, this process works in conjunction with the Stakeholder Requirements, Requirements Analysis and Architecture and Design processes. It evaluates the requirements, functional and physical architectures and ultimately evaluates the implementation. In the early stages of the system development life cycle, validation may involve independent evaluation of the system requirements, development of prototypes and simulations all with the purpose of validating the system concept. The review of documentation by an operational authority other than the user to confirm the operational capability. Validation is the precursor to approval. The process by which the contractor tests a publication/technical manual for technical accuracy and adequacy. The process of evaluating a system or software component during, or at the end of, the development process to determine whether it satisfies specified requirements.